FREE Online Flowering Heart Blessing Giver Initiation. When we experience unity within ourselves, conflict, resistance and suffering end. When we experience unity with others, strife and war cease. When we experience unity with nature, we no longer do damage to the earth or the environment. When we experience unity with Spirit, with the Divine, religious conflict on this planet will end, and our hearts will flower with unconditional love. In the past, only highly evolved beings, initiates and spiritual adepts could give such a blessing. But now we live at a time when anyone who offers themselves as an instrument of Grace can instantly experience the Power of Blessing flow through them to others. It doesn’t require any special initiation. The all-knowing, all-powerful, ever-present Spirit is equally available to anyone, anywhere, anytime. Your true self is the vortex of power. Your spiritual heart is the temple of transformation. The Divine within you, your Higher Self already living in your heart, is the Teacher you seek. It is time to awaken to your true mastery, to remember who you are, to awaken to the Divine within. Join us on this awesome journey of Awakening and Transformation. Flowering Heart is a growing international community that brings people together to foster holistic and integrated spiritual growth, to help them move into higher states of consciousness and deeper connection with the Divine within. We come from all walks of life and all faith orientations to share the Flowering Heart Blessing and the grace of meditation during our weekly gatherings. It doesn’t matter if you are just a beginner or very advanced, the Flowering Heart Blessing will help take you to the next level of growth on the never-ending path of transformation. The Pathless Path of the Heart is the New Paradigm, the True Path of Mastery! Our passion is to help people discover the inner strength, clarity & freedom to follow their own unique path, to take back their power & let go of excessive dependence on outer spiritual forms & teachers & structures. This frees us to follow our own heart & be led by our own inner Divinity, without unnecessary external interference from gurus, religions, spiritual organizations, hierarchies, doctrines & rules. In this way, we can be Sovereign, Sentient, Divine Beings, which is our birthright. This is the New Paradigm & the true path of mastery. All of our teachings, transmissions & processes have this goal in mind. From that place of personal empowerment & freedom, we can all make a much more valuable contribution to our spiritual communities & maintain healthy relationships with our spiritual teachers & mentors. 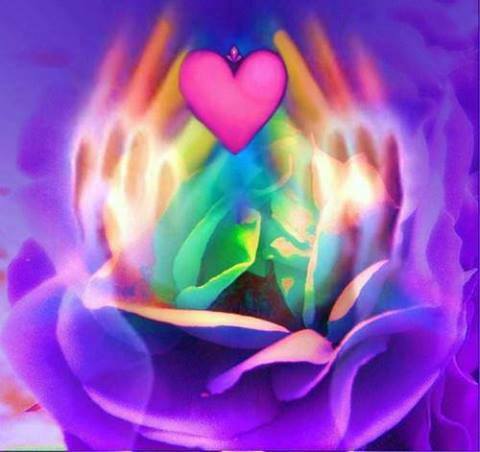 When you receive the Flowering Heart Blessing, you are immediately activated as a Flowering Heart Blessing Giver and can give the Blessing to others. 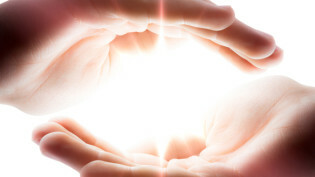 We offer a FREE 36 minute Online Blessing Giver Initiation. OR, If you want deeper instruction and training you could take The Power of Blessing Online Course. For details, Click Here. A: No. All true Blessings and gifts of Grace come from the same Divine Source, so there is no conflict or competition between them at all. If you begin to give Flowering Heart Blessing, you do not need to stop giving Reiki or Oneness Blessings or Christian Healing, etc. For example: If I take up yoga, I don't need to stop doing qigong, or going to my church or temple. I just don't do them all at the same time. If I start taking B vitamins, I don't need to stop taking vitamin A, etc. A: When you receive the Flowering Heart Blessing, you are immediately activated as a Flowering Heart Blessing Giver and can give the Blessing to others. If you feel that you need more instruction and training you could take The Power of Blessing Online Course. For details, Click Here. OR we highly recommend the FREE Online Blessing Giver Initiation (36 min. long).